Archive by Category "Condos Delaware"
For decades, the single-family home was the number one preference for Delaware homebuyers. Market trends have shifted, however, as people began to appreciate the simplified lifestyle offered by condo ownership. Gone are the days when new construction condos attracted a specific kind of buyer: empty nesters looking to scale back, or the young professional willing to trade in square footage for convenience and city location. Today’s condominium communities attract a wide variety of buyers, from retiring Boomers and young families, to singles and couples who are transitioning from an entry-level apartment to a spacious, two-story condo. The community of Darley Green in Claymont, Delaware is the perfect example of where this is happening. Why are increasing numbers of buyers opting for condo living? With all of this in mind, let’s explore some of the biggest trends in condo living for 2018. While some have embraced the notion of “tiny house living,” residential developers have also seen a growing demand for more square footage in the modern condo. Young couples in particular are looking for 3-bedroom units that can accommodate the needs of a growing family. Buyers are finding more spacious dwelling options close to the city; instead of cramming into 1,200 square feet, they can choose from open floor plans boasting up to 2,500 square feet of living space. Developers are also realizing that buyers are not only looking for carefree living close to urban amenities. Walking trails, playgrounds, parks and shared green areas have become the extension of the home, as people yearn for a sense of community and neighborhood camaraderie. In that vein, master-panned developments are creating more than just condos, but a backdrop that encourages communication and a real sense of community. Condo living definitely appeals to individuals who want a relaxed “live, work and play” lifestyle. But it also attracts buyers who are planning to have kids and want the amenities and conveniences in place to raise a happy and healthy family. They want homes that are close to reputable schools, public transport and have more features that cater to families. Even empty nesters are looking for communities where their grandkids can visit and have parks, playgrounds and outdoor areas to play. Tired of renting but don’t treasure the idea of yard work or property maintenance? Montchanin Builders has created beautiful Delaware condos in the master-planned community of Darley Green. We invite you to call our sales center for more information, or to schedule a personal tour at 302.655.2600. Do you love your, but feel that it’s time to upgrade and refresh its look? Every home needs a design re-start from time to time. Depending on your style and budget, there are plenty of ways to add color and personality to your condo. Lighting can – and should – be more than strictly utilitarian; it sets the mood of the space. Abundant low lighting on dimmer switches allows multiple options for creating atmosphere. Chandeliers and sconces can be a bigger commitment, but also make for a more drastic style revamp. Wood paneling has come a long way from 1970s pine paneling. Consider a rough finish around the fireplace for a rustic look, or a smooth finish in the den for some polish. Textured wallpapers are available in timeless or trendy designs. They can be painted to match your decor and removed with relatively little trouble. Whether your doors and cabinets are decorative or plain, new hardware adds an instant personalized touch. Decorative hardware comes in a range of price points, but even the highest end options offer a big bang for the buck. Best of all, they are easy to change if you decide on a different look down the line. Decorative trims, including baseboards and ceiling moldings, add a refined touch to plain walls. The style and color of trims can lend either a classic or a modern look. Well-chosen ceiling trims will make the room feel larger or smaller depending on execution. Adding carefully chosen accessories is the most versatile way to add some personal flair. Lamps, vases, rugs, furniture – each element adds to the overall atmosphere of a home. When choosing these items, take the opportunity to make a statement while putting your own stamp on your condo. Busy home owners in DE love the carefree ease of condominium living. The beautiful communities from Montchanin Builders feature condo homes with plenty of personality and sought-after amenities. 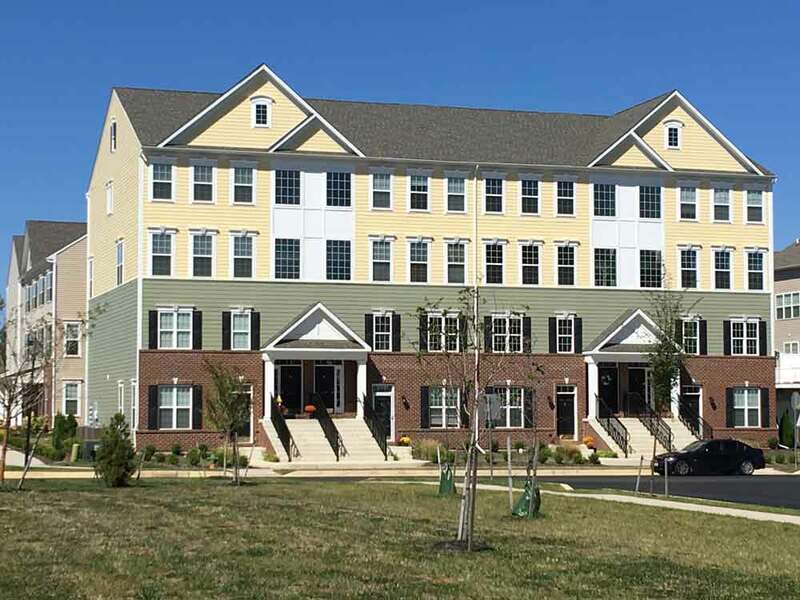 To find out about condos for sale in Delaware, call Montchanin Builders today. 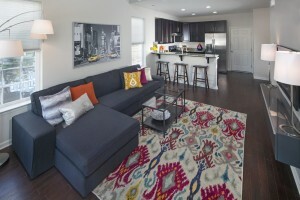 Are you in the market for new condos in Delaware? Real estate trends in Wilmington show a steady climb in home prices, so if you’ve been waiting for the right moment to snag a great deal, this could be it! According to Trulia, median sales prices for Wilmington homes have jumped 14.5% over the last year. On top of that, economists agree that rates for fixed mortgages are unlikely to increase much above 4 percent this year. With house prices slowly going up and low interest rates, this may be your golden opportunity to purchase one of Darley Green’s move-in ready townhomes and condos. Home prices are increasing. Wilmington home sale prices between December 2012 and February 2013 were 14.5% higher compared to the previous year, according to Trulia. Economists predict these house prices will continue to appreciate. Mortgage rates may rise next year. Mortgage interest rates are hovering at 4% or less, but these rates may trend higher later in the year and into 2014. Rent prices are climbing. In 2012, rent prices across the nation went up 4%. Rental rates are expected to increase as the economy continues to recover and strengthen. Mortgage rules may become stricter. With new rules like the Qualified Residential Mortgage, homebuyers may face new conditions for down payments and minimum credit scores. Better incentives are on offer. New construction homes are offering excellent terms for homebuyers with flexible financing options and low down payments. Jed Kolko, chief economist for Trulia, says that those who act now are in a better position to put down a down payment and qualify for a mortgage. So what’s the take home message? For the best financial deal on new homes in Delaware, 2013 may be your time to purchase. Your dream home could be on the market right now at Darley Green, so why not swing by and check out our latest Spring arrivals. If you’re concerned about location, our address in Delaware’s famed Claymont Renaissance district is centrally situated just 5 minutes from downtown Wilmington, and 20 minutes from all the action in Philadelphia. Our two and three-story townhomes and condos offer a variety of floor plans, classic exterior styling, 2-car garages, high ceilings and gourmet kitchens. The Montchanin Builders have carefully designed each home to suit the preferences and needs of the modern homebuyer, from young couples to families and retirees. Discover the many joys of living in a master-planned community, where ample green spaces, onsite jogging trails, a community library and local shops are just steps from your door. Come visit us anytime between 11AM and 6PM to view one of our model homes. 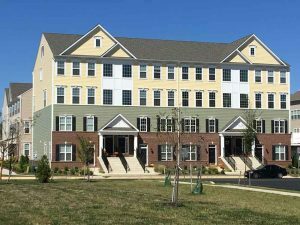 To find out more about our specials for first-time homebuyers, or to schedule an appointment, please contact Amy Maluski, Community Sales Manager, at 302.655.2600.